All Canton homes currently listed for sale in Canton as of 04/25/2019 are shown below. You can change the search criteria at any time by pressing the 'Change Search' button below. If you have any questions or you would like more information about any Canton homes for sale or other Canton real estate, please contact us and one of our knowledgeable Canton REALTORS® would be pleased to assist you. 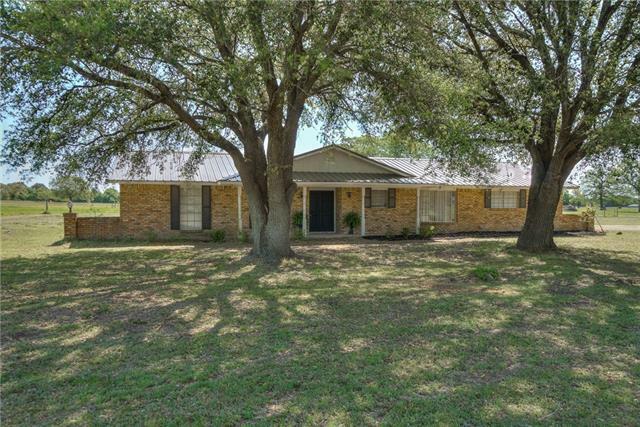 "Diamond Ranch is located less than 10 minutes south of the heart of Canton, TX. 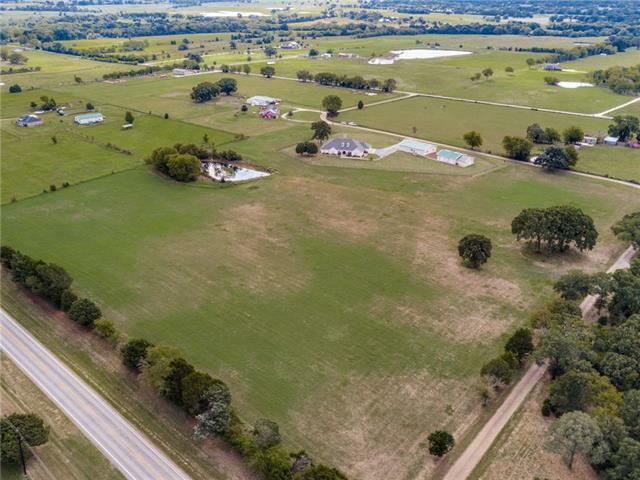 This luxury estate resides along FM 3227 & CR 2434 on 196 acres of large & open pasture with lush, gentle rolling hills, & scenic sunsets. Auto-gated Diamond Ranch has a winding concrete paved drive leading directly Diamond Ranch Estate: 2-story 3,650 SF home overlooking the Diamond Ranch Lake,30x60 workshop,Diamond Ranch Inn & Saloon: paved driveway connecting estate to luxury 2-story 1,275 SF guest house w a"
"Unique country French home in ETX with finest quality &timeless architecture! 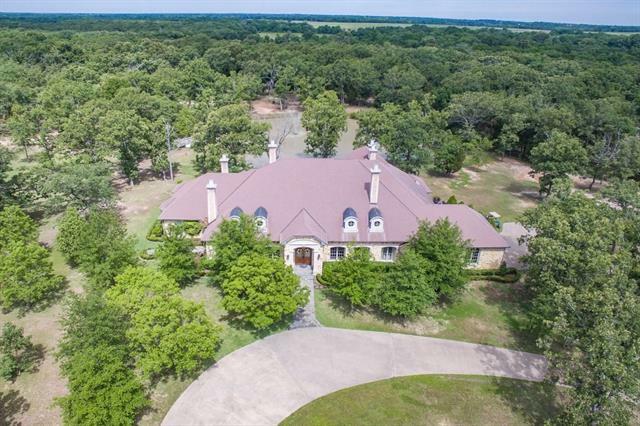 Luxurious 7690sqft main home w-grand marble entry, 6 gas firepls, his-her closets, warm hardwoods, complete gym +3 charming guest homes set on 92 rolling acres. Features crop, fruit trees, berry vines, roaming wild deer, 3stock ponds, well, running creek &pastureland. 70x90comm-grade greenhouse, 40x60 metal wkshp, 31x24 garage, helipad, &gas pump. Outdoor stone patio &gazebo overlooking lighted fountain! 1hr from Dalla"
"Lush almost 95 acres with a 15 acre stocked fishing lake, plus 1 acre pond & over 4200 sq ft Executive Home built 2005 with pool & spa. 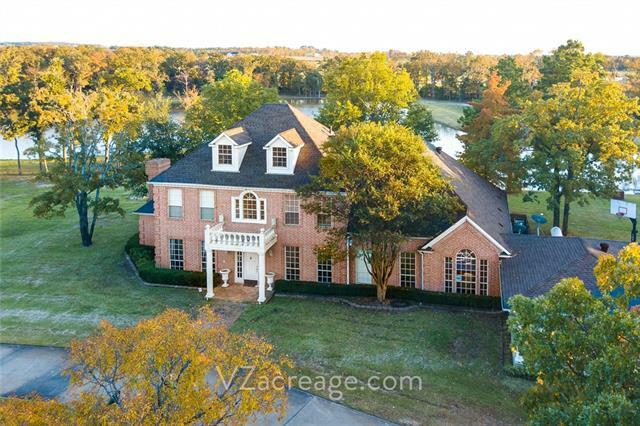 Follow a long winding drive around huge lake to circle drive & terraced landscaped entry to this custom 4 bed, 3.5 bath, 3 living home w- 3 car gar. Spectacular views abound! Living Room offers 20 ft. ceiling w- almost floor to ceiling windows, wood lam floors. Granite Kitchen w- view of pool open to Family Room. Master down w- separate study & luxury bath. 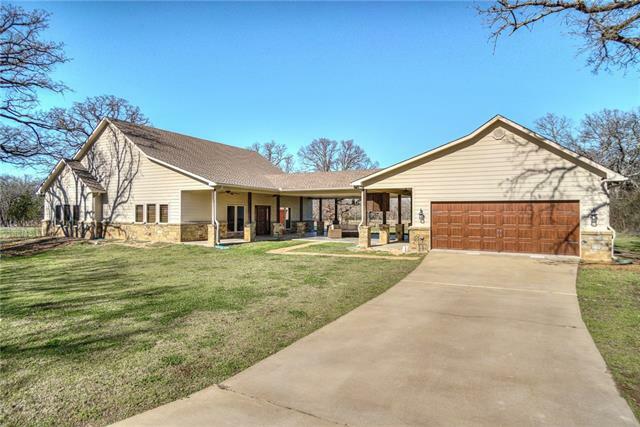 2 st"
"Custom designed home built by Wilkerson & Tunnel and metal barns situated on 1 AC fenced land. 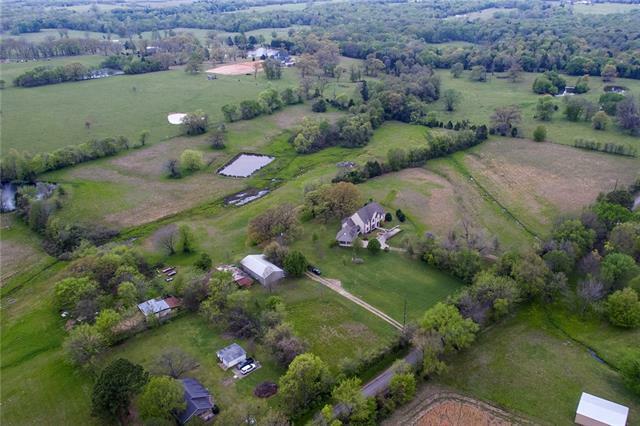 Remaining acreage not fenced, used for hay production, Freestone fine sandy loam soil good for variety of equestrian disciplines. Home features custom finishes, hardwood floors, plantation shutters, large eat-in gourmet kitchen. Secluded master suite allows easy access to back patio-hot tub. Two metal barns used for equipment and supply storage." "Lush almost 45 acres with part of a 15 acre stocked fishing lake, plus 1 acre pond & over 4200 sq ft Executive Home built 2005 with pool & spa. 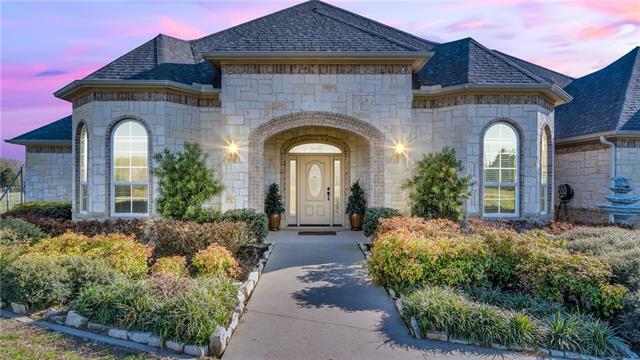 Follow a long winding drive around huge lake to circle drive & terraced landscaped entry to this custom 4 bed, 3.5 bath, 3 living home w- 3 car gar. Spectacular views abound! Living Room offers 20 ft. ceiling w- almost floor to ceiling windows, wood lam floors. Granite Kitchen w- view of pool open to Family Room. Master down w- separate study & luxury ba"
"LUXURY HOME designed for entertaining. Spacious rooms throughout with beautiful Saltllo tile flooring, extensive use of granite in kitchen, baths, studies and utility, massive wood cabinetry and plantation shutters. Kitchen accents include solid copper vent-a-hood and copper farm sink, stainless steel appliances. Main house has two master suites. Guest quarters is separated by a covered patio and has 2 bedrooms, bath, full kitchen and living area. In addition, there is a detached apartment wi"
"Absolutely stunning 20 acre gated Estate with 3169 SF luxury custom home and 1000 SF bunk house or mother-in-law suite. Bunk house has a connected workshop and additional 2 car garage. Gorgeous entry and drive leading to custom mixed brick and granite exterior. 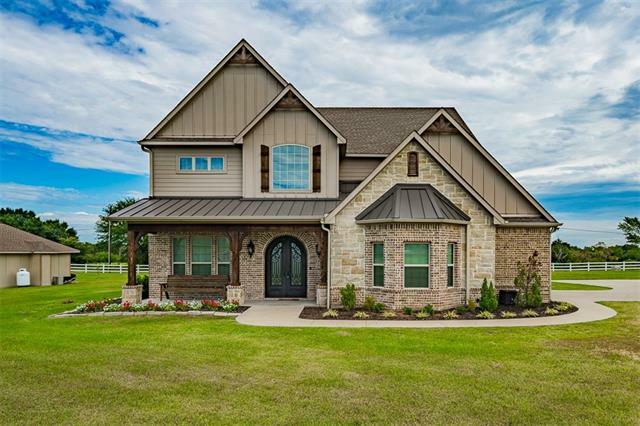 Home features beautiful entry with views straight through to peaceful back pasture and pond, custom cabinets and granite countertops, brushed hardwood floors, auto light switch in all closets,gas frieplace, first floor master suite with "
"FINANCING FELL THROUGH! Versatile Working Ranch is currently producing the finest of bucking bulls, breeding, training & conditioning and could easily transition to other livestock or hunting enthusiast. 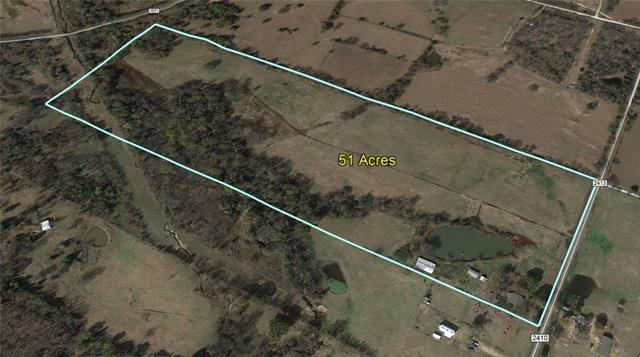 This property offers 99AC, deep well (approx 520 ), 2 spring fed ponds and creek. 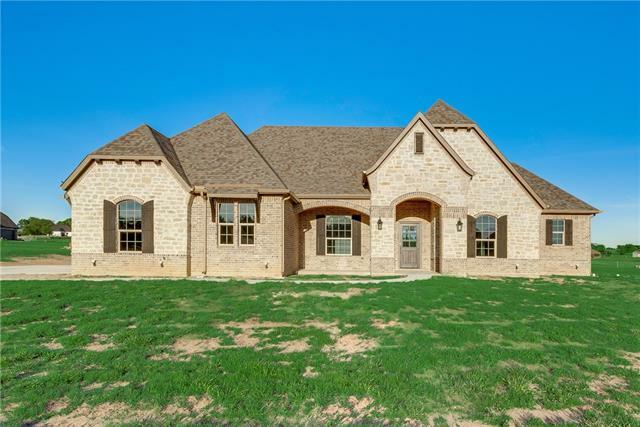 Austin Stone 2800SF custom home welcomes you w-an addt'l 384SF living quarter, 36x26 barn and equipment storage. 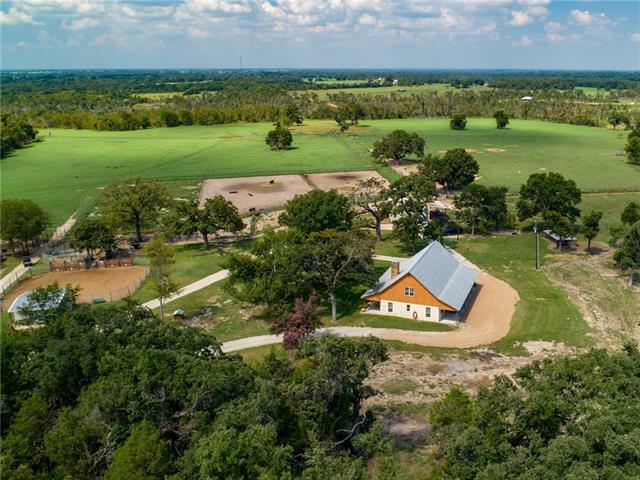 Piped corrals, working pens that are bull fenced, WW Bullmaster hydraulic squeeze chute & loading "
"Beautiful AG exempt Custom Home is in a perfect location to get away, enjoy the peace and quiet of the beautiful Texas countryside. The lush green pastureland is great for grazing, and the large trees provide plenty of shade for the exotic deer and alpacas. 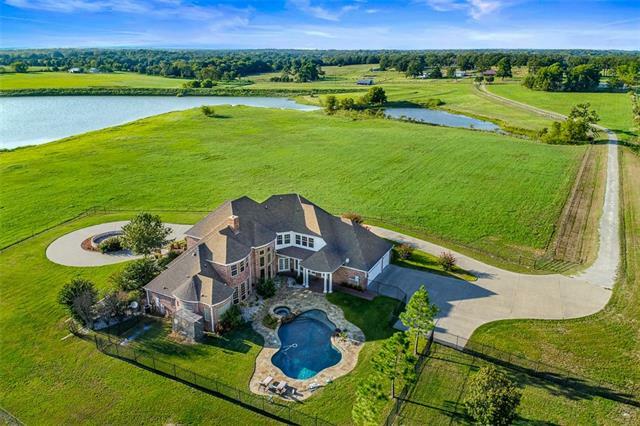 This house has a amazing one acre stocked pond that provides water for livestock and watering the premises. This 2645 square foot home is one story stone with 3 bedrooms, 2.5 bath with an open kitchen concept. 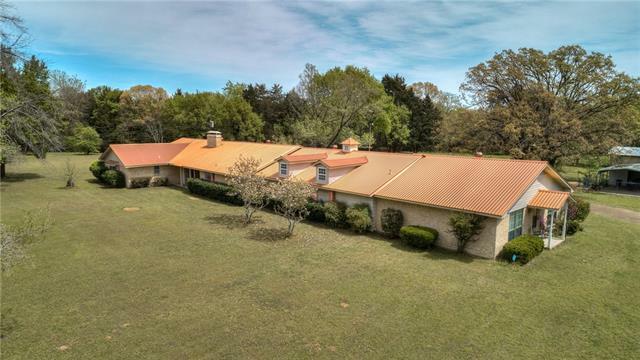 Property also includes a large 3"
"Very special traditional TX Ranch Home built beautifully on this Canton countryside property. Fabulous floors & finishes throughout. Master bedrm down, sitting or office space off master suite. Approx 36 lush ac, lg stock tank, great location on a quiet road. Property fenced & cross fenced, lg detached 4 car garage, both front & back entry. Perm dog kennels or chicken coop. Shop of all workshops featuring 3500 s.f. 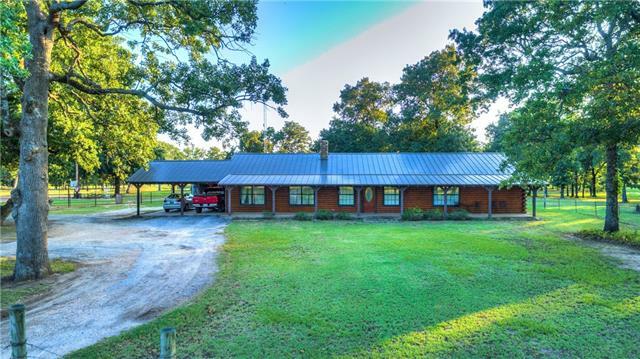 metal building, concrete floors, 3 phase electric, water, insulated throughout, "
"60 Acres, 3 stocked ponds, Beautiful Horse barn, 8 over sized horse stalls, wash bay with horse stock with 12,500 sq. ft. 100x100 & 50x50 with electric hot & cold water. 54 ft indoor working arena, 200 X 100 fenced corral. With fenced & Under Cover Holding Areas. 50 Acres of hay production available. The home has updated gourmet's kitchen, double oven, warming drawer and electric stove with all Kitchen-aid Appliance & fridge. 3 bedrooms and 3 bath with a open floor plan and 2 Living area's. 3 c"
"Farmhouse with Impressive Austin Stone Entrance and drive up to this home that sits off the road on approx. 27.5 Ac. in Canton ISD. Inviting front porch overlooking front pasture and lake. Spacious living and dining featuring vaulted ceilings and exposed beams. Nice kitchen, pantry, and breakfast area. Abundant Cabinetry featuring roll-out shelving. Sprawling Master Suite incl. 6-Person Sauna. Sleeping Loft. Office. Pool. Covered back patio. Barn with 3 stalls, Stable with 5 stalls, 2 Loafing Sh"
"Charming log cabin in great location in sought after Canton School District. This 3 bedroom, 3 bath has 2 living areas, large closets, and large utility with lots of storage. 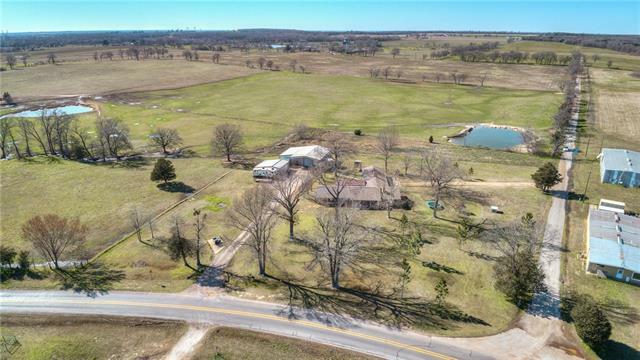 Property includes a stocked pond, mature trees, open pasture, arena, barn with stables, outdoor kitchen area, outdoor bar with half bath, covered porches and is in a private location close to town. Have to see to appreciate." "New Construction in Canton's Premier Subdivision. 3,126 sq ft Heated and Cooled 4.03 acre wooded lot. Concrete Driveway two car garage." "Taylor Barnes Custom Home! 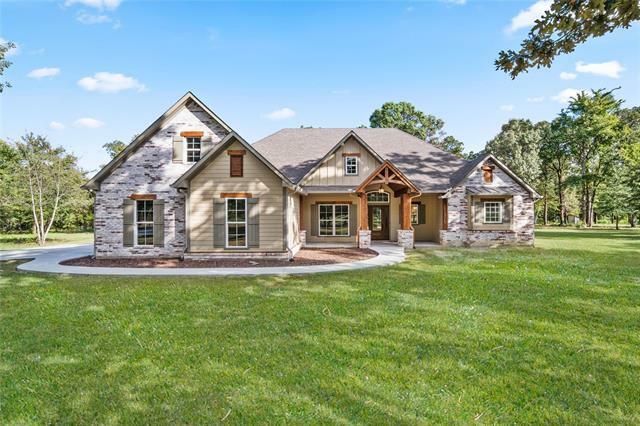 3770 sf built 2016 in Sunset Trails. Canton ISD! 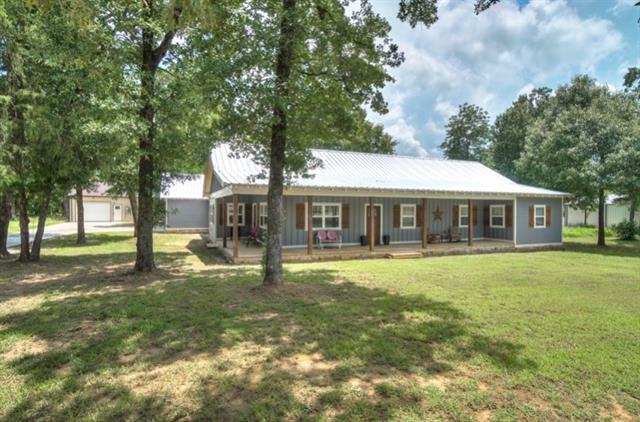 4 BR 3.5 baths on 1.25 acres. Classy home w- Floor Plan. Multitude of windows=Natural light! Upstairs Media Room*Dream Kitchen w- Knotty Alder cabinets*Butler's Pantry*double ovens*9 ft island*built-in wine cooler*custom pull outs*St steel Bosch appliances*Ceramic wood tile, 10 ft. ceilings & 8 ft doors thruout dwnstr. Great Room: gas fireplace*22' ceiling w- 88' ceiling fan. Master suite down*his-her closets*Hers fit fo"
"Magical, mystical weekends are spent at The Wilde House. The next owner may continue the short-term rental business for which the property is known and established, or, they may want to get away from city dwelling a stylish transition to smaller-than-small-town Texas. Nearby Canton boasts the infamous First Monday Trade Days: the oldest, largest continually operating outdoor flea market in the US. 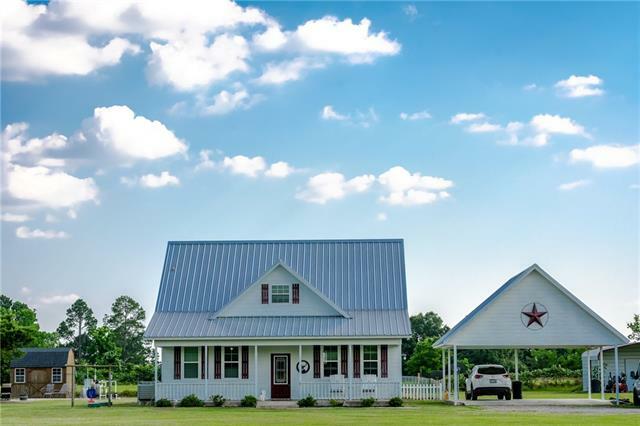 This modern farmhouse is a perfect combination of eclectic style and southern hospitality set o"
"Beautiful home sitting on + or - 44 acres in highly desired Canton ISD! NEW metal roof in April 2019. hardwood floors throughout. updated bathrooms. farmhouse kitchen. + or - 20 acres sprigged for jigs two summers ago and the other + or - 24 acres is fertilized for costal. no restrictions." "Farm House Sheek in Canton's newest subdivision Oakwood Trails with 2 bed, 2 bath GUEST COTTAGE!! Main home is 4bed, 2 bath, 2 liv & hosts unique decor with vintage accents, custom wood ceilings and ship lap walls & wainscoting. Guest cottage has 20x30 shop attached & and great loft area that could be used for storage or many other possibilities. All situated on a beautiful 3.6 acre wooded lot." 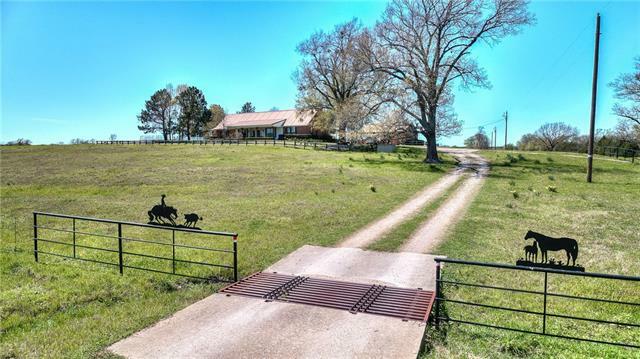 "51 acres of beautiful pasture land with stocked tank (catfish, perch, and bass), barn, cattle pin, and workshop. Farmhouse has brand new carpet, AC unit, tile conter-tops, and vinyl flooring. One of the living areas could be used for over-sized master bedroom. Grow your own vegetables in the large garden right outside the kitchen window. This property would be a wonderful weekend getaway for a family, land for hunting, or the perfect place to build that dream home. Bales 180 rolls of hay per"
"Pilots and flying enthusiasts, golfers! This could be the home for for you! Beautiful 4.75+- acre lot, Located in Country Club Estates, adjacent to the Hackney Airport. Just taxi across the road from one of the two 50'X40' quality airplane hangers on the property. Near country club golf course! Lots of beautiful trees!This spacious home, with divided open floor plan, has a built in apartment which could be guest quarters or apartment for college students or other family. Apartment has a separa"
"Beautiful New Build on 1 acre ready for move-in! You'll love the brick & stone exterior with covered front porch & 3 car over-sized garage with exterior door to backyard. Fantastic layout with 3 bedrooms, 2.1 bathrooms, & office. Large kitchen with granite c-tops, white cabinets, SS appliances, pot filler, & walk-in pantry that over-looks living room & WB fireplace with floor to ceiling stone. Large master bath with a relaxing tub, walk-in shower, dual vanities, custom closet that opens to utili"
"Here it is! Just minutes from downtown Canton and First Monday Trade Days!! Beautiful 5 bedroom, 3 bath home sitting on approximately 3.483 Acres in very convenient location. Great roads. Warm, Comfortable feel, with open living, kitchen, and dining. 2 Wood Burning Fireplaces. Lots of closets and storage space. Cozy, covered outdoor entertainment area. 40 x 60 shop with office area, 2 bathrooms, electric, and water. 20 x 30 detached garage-workshop with electric. 8 x10 shed." "COUNTRY LIVING AT IT'S BEST! 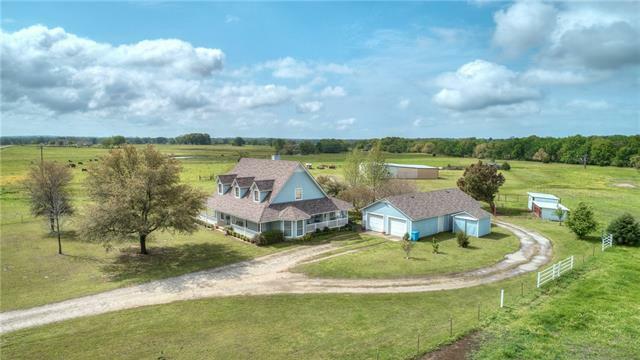 3BED ROOMS 2.5 BATHS 2CP ON ALMOST 10 ACRES. TWO STOCKED PONDS, AND IN GROUND POOL! GREAT OPEN CONCEPT LIVING AREA, BEAUTIFUL VIEWS FROM EVERY WINDOW! ABUNDANT STORAGE THROUGHOUT HOME. SPRAY FOAM INSULATION AND TANK LESS WATER HEATER! CALL TODAY FOR YOUR PRIVATE TOUR!"